Jeffrey Thomson of Elam & Burke volunteers with several nonprofit groups; namely the Sunrise Rotary Club, Girl Scouts Silver Sage Council and the Stage Coach Theatre. Committing between 11-15 hours each month, Thomson has served these organizations and others over the years with both time and funding – he has served in various leadership capacities and has contributed financially when asked. One particular organization Thomson is fond of is the Himalaya Rescue Association. 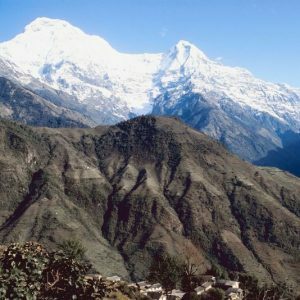 This group’s objective is to prevent deaths from Acute Sickness and other accidents or illnesses that can be encountered when trekking through the mountains of Nepal. Thanks to dedicated individuals like Thomson, the organization provided badly needed medical care resulting from the April 2015 earthquake that registered with a magnitude of 7.8. Thomson’s involvement in the Bar is just as extensive. He is a Past President of the Idaho Association of Defense Counsel, an appointed member of the Idaho State Bar Professional Conduct Board and a member of the Idaho State Bar Litigation and Appellate Practice Sections.